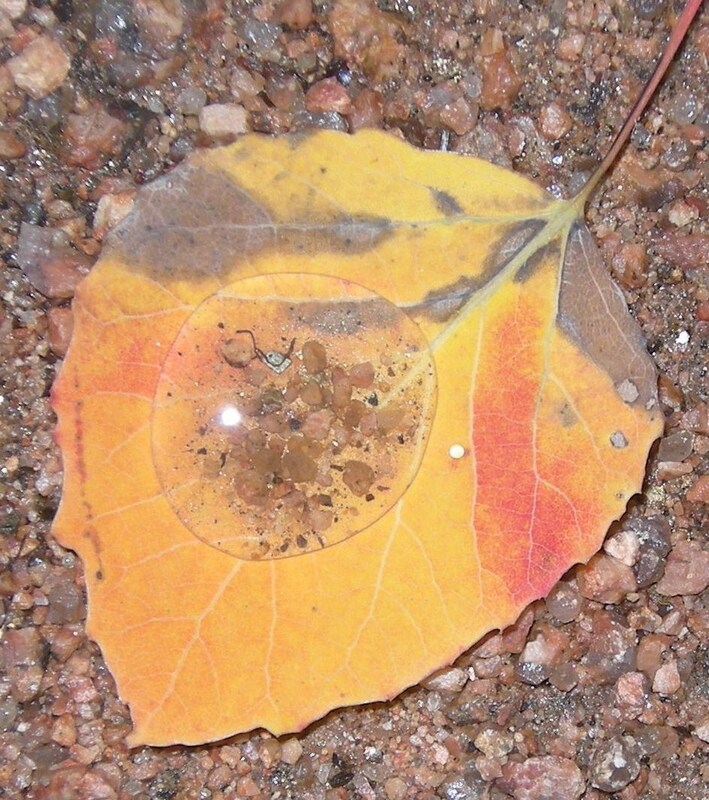 Photographers, artists, poets: show us RAIN. 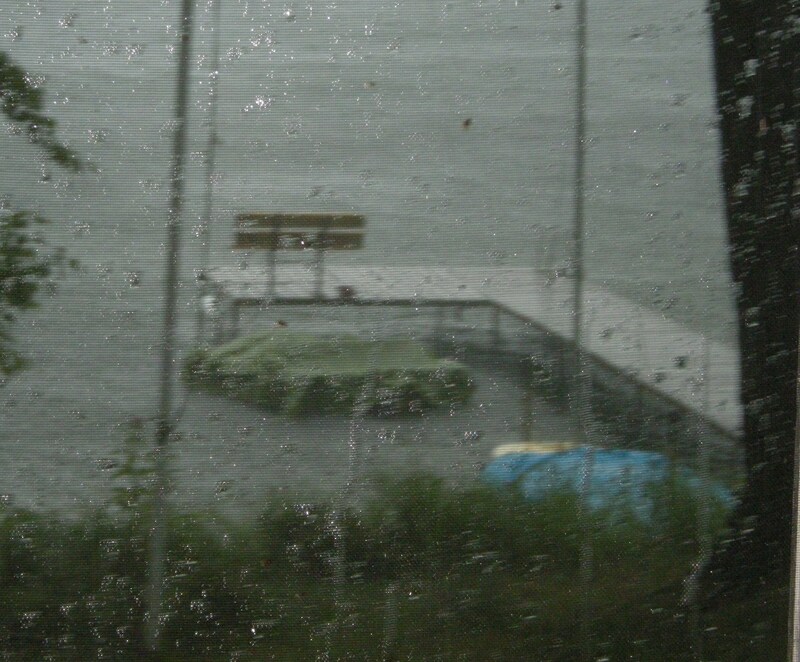 I always look forward to a rainy afternoon or evening at our cottage on a lake in Northern Wisconsin. If there isn’t much wind, I sit on the porch and read or just listen to the rain. It’s so soothing. 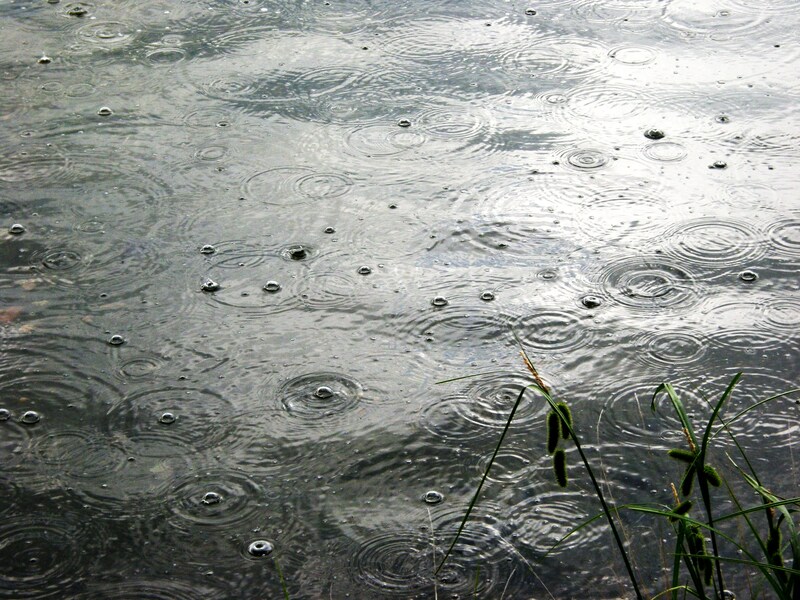 Now that I’ve started meditating, I imagine that a rainy afternoon would be the perfect time to practice meditation. 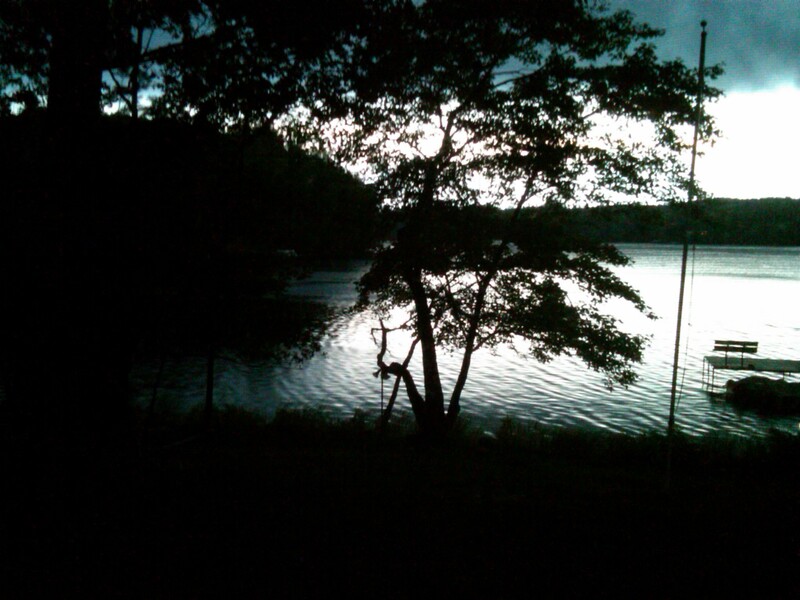 I also like a good thunderstorm at the cottage, watching the dark clouds gather over the lake, obliterating the sun. The wind comes up, there are flashes of lightning which momentarily light the surface of the lake, followed by crashes of thunder. If I can, I like to witness these also while on the porch, but sometimes instead I have to move the furniture toward the interior of the room and put covers on it to prevent it from getting wet. Then I sit in the front room and watch the storm through the large window facing the lake. At night or early morning, whether at the cottage or at home, I like to snuggle in bed and listen to the rain falling. It lulls me to sleep. I notice the fresh smell that the rain produces – the smell of wet earth and wet pavement. If the rain is light and there is no lightning, I go out onto the pier and watch the drops fall onto the lake, making circles that radiate outward. I also take pictures of each stage of the storm from inside, some of which I have already published in a previous post. Every year I look forward to sunny days at the cottage, so I can sit on the pier or in the water if it’s hot, and Dale can go out fishing in his boat. But I always hope for a couple of good rainy days too, and a dramatic thunderstorm, which reminds me that nature is in charge.